hosting club: RV Sörup e.V. Vom 20.10. - 21.10.2018 sind Reiter und Pferd in Sörup beim Reitturnier zu Gast. rimondo begleitet das Turnier mit der Kamera. Sieh dir hier die Ergebnisse und Videos an und erfahre mehr über die Pferde und Reiter des Reitturniers. Only a healthy horse can achieve top performance. Pavo Sport offers high-quality products that have been developed for the special demands of competitive athletes. The successes of our sponsor partners prove it! 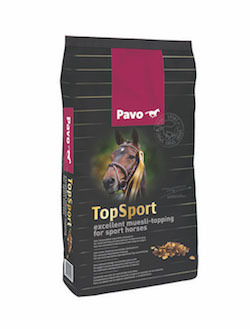 Pavo TopSport: maximum muscle support and top radiance due to a very high proportion of essential amino acids.